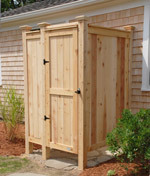 We supply many outdoor showers NH to homes in the NH New Hampshire region – one of our first sales was in Winnipesaukee! 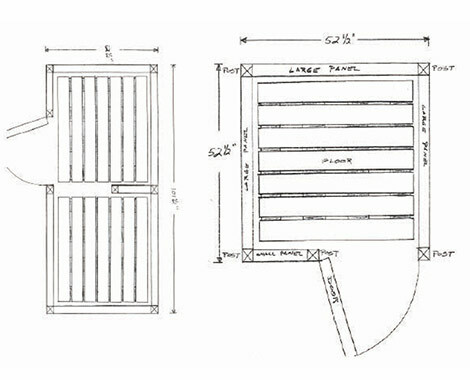 We craft our premium outdoor shower enclosures from the highest quality cedar available and are happy to create a custom outdoor shower enclosure kit of your dreams. Add benches, beach pebbles for drainage, and elevated floor, shelves and more. Anything you can think of, we can create. We even do lattice paneling for a beautiful decorative embellished look. Expedited shipping is available – just tell us in checkout. 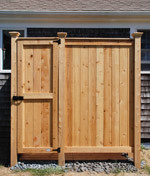 Please contact jay@capecodshowerkits.com for estimated times on rush order and for any other reference points.